TEHRAN, Sept. 9 (Mehr News Agency) -- Hushang Moradi Kermani is the lone Iranian author who has been nominated for the 2009 Astrid Lindgren Memorial Award, which is presented annually by the Swedish government. Organizers of the program have announced the list of 153 nominees from 60 countries in different fields of children's and youths' literature for the year 2009. Other nominees of Asian countries come from Japan, Philippines, India, China, and Thailand. The award, which is administered by the Swedish National Council for Cultural Affairs, was established in 2002 to commemorate the Swedish writer Astrid Lindgren and to promote children's and youths' literature around the world. It is the world's largest for children's and youths' literature, and the second-largest literature prize in the world. The prize, which is five million Swedish kronor in cash, is awarded to one or more recipients including authors, illustrators, storytellers, and promoters of reading. The 2008 Astrid Lindgren Memorial Award (ALMA) went to the Australian author Sonya Hartnett. The 2007 ALMA was given to the Banco del Libro, a non-profit Venezuelan institute that promotes children's literature. 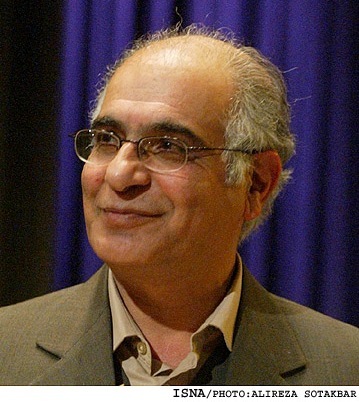 Mohammadreza Bairami of the Pen Society of Iran, Turan Mirhadi of the Institute for Research on the History of Children's Literature, and Hushang Moradi Kermani of the Children's Book Council were the three contenders for the award in 2008.